Families all want their turn enjoying a paddle on the lake, including the dogs. 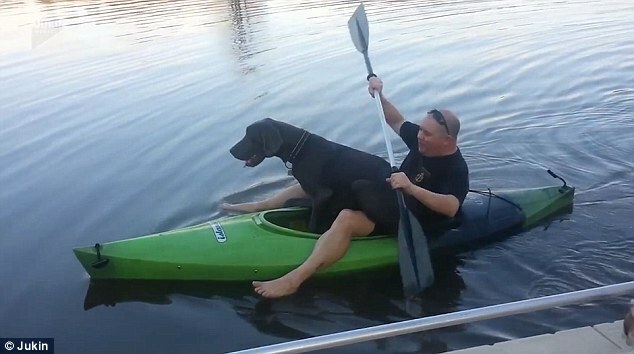 Margaret Emiliani filmed her huge Great Dane going on a short ride around the lake dock with his dad in the family’s one-man kayak. You have to give dad credit for giving it a go and not tipping over!